Min S is a liquid food that helps achieve healthy growth, rich colors and extraordinary tissue fluorescence. 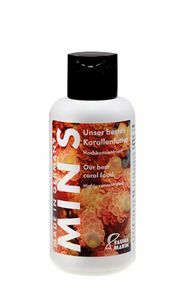 With a unique combination of natural feed particles, marine biopolymers and organic nutrients, Min S supplies your coral with exactly that. Min S is a liquid food that helps achieve healthy growth, rich colors and extraordinary tissue fluorescence. 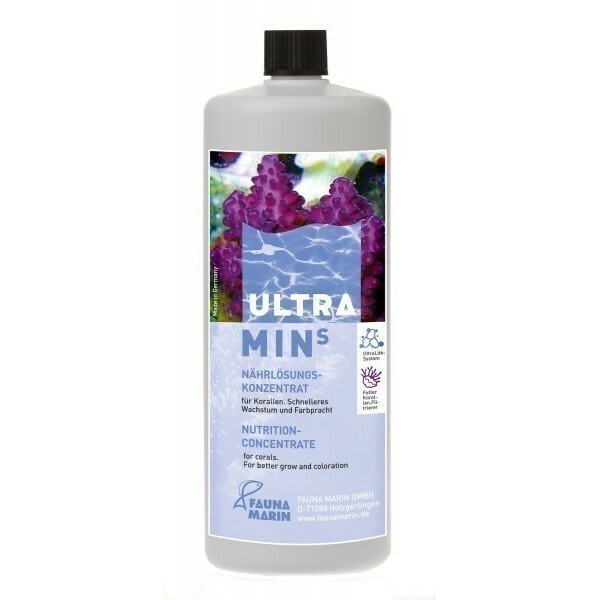 With a unique combination of natural feed particles, marine biopolymers and organic nutrients, Min S supplies your coral with exactly that. The addition of Min S ensures that your coral constantly receives the same nutritious content found in nature.